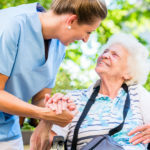 Home Caregiver Resources How Long Can I Keep My Family at Home? Most people prefer to remain in their own homes, and sometimes that’s possible—with some help. 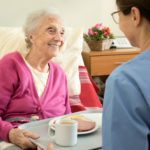 Resources in the community such as meal delivery service, “friendly visitors,” housekeeping, home health aides, transportation, or other in-home assistance might provide enough support so your parent can remain at home, in familiar surroundings. The home must be safe, with good lighting, clear spaces to walk, no stairs. Tech innovations, such as automatic pill dispensers, movement monitors or webcams, can be useful. A move to a smaller apartment, condominium or one-story house in their community or yours might also be feasible, with help and check-ins from family. Sharing an apartment or house with a friend or relative could be another possibility. 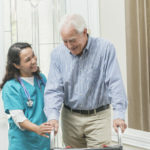 As your parent gets older, his or her care needs will change, and in most cases become more challenging. At Paramed, we may be helpful as you consider current and future needs. 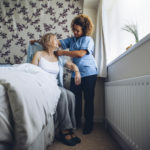 As time goes by, changes in your parent’s medical or cognitive condition may require a further change in living arrangements.